In 1999, one of the largest Massachusetts utilities was formed by merging the Boston Edison Company, Commonwealth Gas, Cambridge Gas Company and the Cambridge Electric Company. This MA utility was called NSTAR and it provides 1.4 million Massachusetts residents with electricity and Gas. In February of 2015, NSTAR, along with Connecticut Light & Power, Public Service New Hampshire and Yankee Gas, was rebranded as Eversource Energy. As an Eversource Energy customer, you are able to shop around for a retail electricity provider in order to save money on the supply portion of your bill. 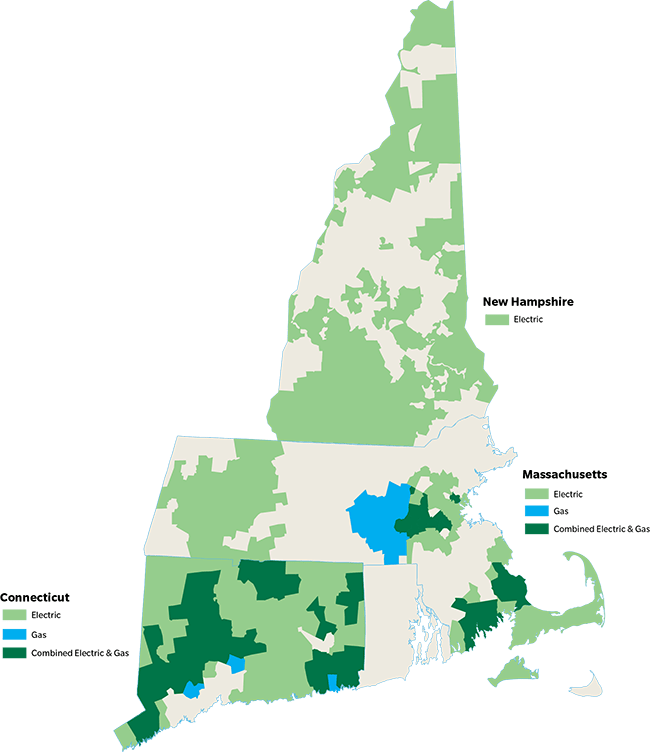 No matter if Eversource or a retail electricity provider supplies your electricity, your electricity will continue to be delivered and serviced with the same reliability by Eversource Energy (NSTAR), which is regulated by the Massachusetts’ Department of Public Utilities (DPU). Electricity customers are able to save money because of the competition that forces retail electricity providers to offer the lowest rates possible. Competition also drives providers to create flexible and customized electricity plans and options as well as to generate other incentives such as innovative products and services. Switching electricity providers and rates is fast, easy and convenient. All you need is your account information from your most recent NSTAR electricity bill. You can make the switch by entering your zip code into the Compare& Switch tool, located on the right side of this page, and then comparing electricity plans and providers. Next, click on the plan and provider you would like to switch to and fill out the contact and account information forms. Your new provider will contact Eversource Energy (or your previous provider). It will take one or two billing cycles to see your new provider on your NSTAR utility bill. And remember, NSTAR will continue to deliver your electricity, send your bill, and maintain all the wires and poles that deliver the electricity to your home. Deliver and transmission rates will NOT change if you switch to a retail electricity provider.